I recently added shipping to Canada on all my dolls clothes listings in my Etsyshop. Worldwide shipping is still a bit too scary for me. But I am widening my circle...To celebrate this fact I am hosting this Giveaway. If you were disappointed at Christmas because you don't live in the US and could not participate in a Giveaway I hosted on the NaturalKids blog a little while ago. This is your chance! This promotion is open to people all over the world! Please note that I am not responsible for duties/customs fees if you win this item, and I ship it to you! Enter now to win one of my sweet Valentine's Day themed Trademark Pocketdresses including a wee red Heartshaped Pocketbaby. The winner of this Giveaway will receive a 12 OR 14 inch dress fresh from my workbench. You tell me what size! The dress will be made from chocolate colored Big Hearts flannel fabric. So cute! Please note, that friends and family members of GermanDolls and their families are excluded from this promotion. Sorry, NattyKids, that includes you, my friends! Other than that this promotions is open to everybody on the planet earth! If you would like to enter, please do so by visiting Ulla's cozy corners on the Internet. Please go visit and comment on any of the sites where my shop is present. Don't forget to leave your email address in your comment here so I can contact you if you win! Add GermanDolls to your Etsy favorites. Follow GermanDolls and Twitter and Tweet about this giveaway.Blog about this giveaway with a link back to the post. Post about this Giveaway on your own blog and link back here! This Giveaway ends next Saturday 29th, 2011 at midnight my time. I will announce the winner right HERE and notify him/her via email. Please not this contest is OVER! The Winner of this GiveAway is DrKeri! Thanks so much for all your lovely comments! I really appreciate all of you so much and hope to give you another chance at winning soon! Thanks for the contest! Your creations are adorable! You have been one of my favourites on Etsy for a long time. We really enjoy our little pocket dress and baby.I would love to add the heart dress to the wardrobe. thanks for the contest! such a cute dress...and pocket doll. We have had your lovely shop favorited on etsy for awhile. (So excited about our first order!) I also just marked your facebook as a favorite. such a sweet giveaway and just the motivation I need to stop thinking about and actually make a doll for my daughter. I favorited your store on etsy and liked you on facebook tonight. i heart you on etsy. 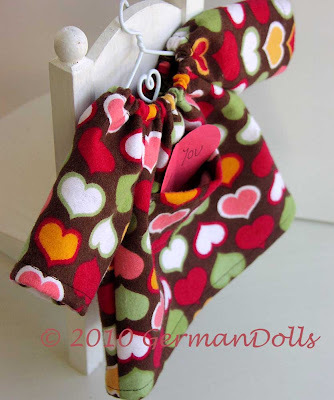 i think your little heart dolls are so adorable! ME ME I WANT TO WIN. I've been dying to see your clothes in person, you pick such cute fabrics! :D You've already got an Etsy heart from me. And I just liked you on Facebook. Nice work Ulla! What a sweet little heart dolly! Too bad we're friends! (just kidding)...good luck to all those folks out there! Oh, I just love your little heart dolls. My sister bought my daughter your blue bird pocketdoll dress for christmas. So cute!! I think I've hearted and liked everything already. ;-) Beautiful beautiful. 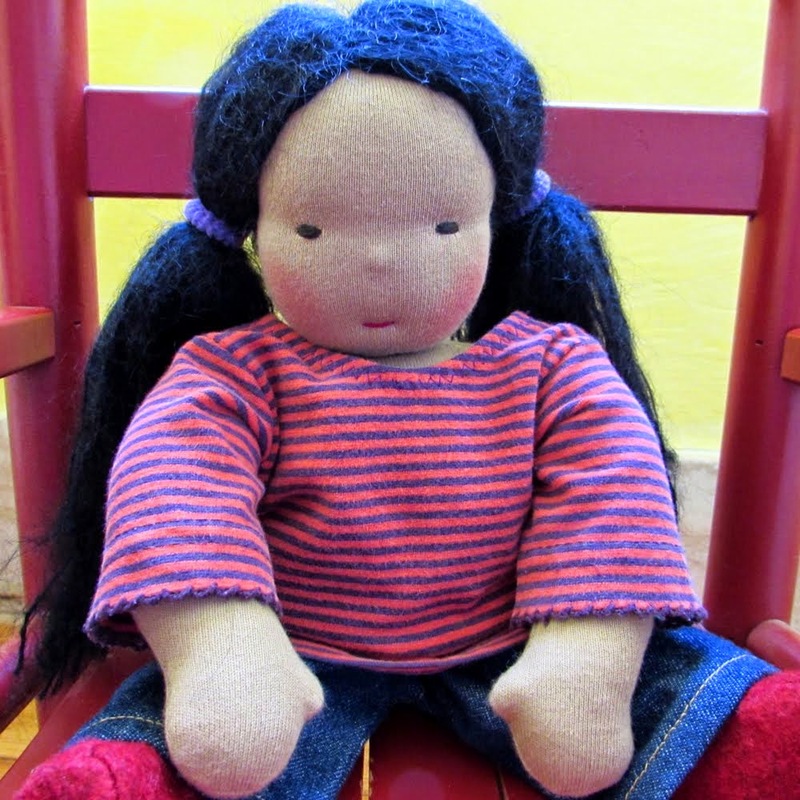 Would love to win this for Isa, my daughter's doll, er, best friend. Already have your etsy shop as a favorite. I just became a follower! LOVE your supersweet creations. Thanks for hosting a great giveaway! I hope we win! I hope we win! I hope we win! I can't wait to get our little doll that's being created by you right now! Thanks for the contest. your dresses are so lovely! I live in canada and and I'd love to win! I am a follower on facebook, LOVE these dolls and dress. we would LOVE to win! i visited all of your sites and "liked" all of them=) thanks!! A new follower. So happy to have found your blog, I love your work and keep my fingers crossed! Just became a follower. Your creations are beautiful. I just love everything in your shop! Such beautiful dolls and clothes! I see too that you live in CO. So do I! I love finding other CO artisans. <3 Thanks so much for the giveaway. so cute! my daughter wud love to win one for her birthday! This would be the perfect gift for a friend that just had a baby. Beautiful. So happy I found your blog! it is inspiring! love these! thanks for the give away. thanks again these are ADORABLE!! So precious! I added you as an Etsy favorite! Following you and Natural Toys on Facebook! 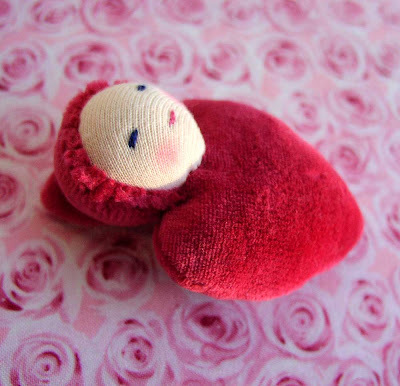 germandolls is an etsy favorite of mine! I am a Fan of GermanDolls and Natural Kids on Facebook! This contest is closed now! Thanks so much for all the great comments and sharing the Love!